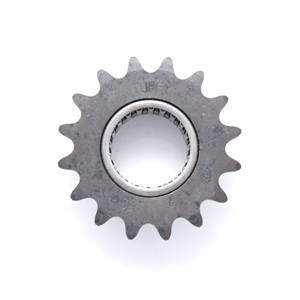 16 tooth jackshaft clutch sprocket. Uses new style snap ring (098-028) to attach sprocket to basket. Fits 098-305 basket only.